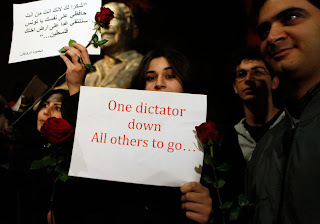 Students hold placards and flowers during a sit-in protest in Beirut January 17, 2011, organized by Lebanese activists and Tunisians living in Lebanon to show solidarity and support for the people in Tunisia. Reuters/Jamal Saidi. Breaking news on the evening of February 25, 2011, notes that Twitter video shows men said to be Libyan Navy members in Benghazi declaring solidarity with the "Feb. 17th Revolution." What is the "February 17th Revolution"? It appears to be the name of the group or uprising in Libya that dates to the public actions commencing on that date, which resulted in the severe violent reactions from Gadhafi's henchmen. Libyan-Americans living in Minnesota spoke with FOX 9 News about the news coming out of their home country. Ali is a real estate broker living in Hugo, Minn., but he was born in Libya and still has close family their. He said he is afraid that the crumbling regime may retaliate against his family if his comments were seen. Ali said he is keeping up on the latest developments using Arabic media and social networking sites. 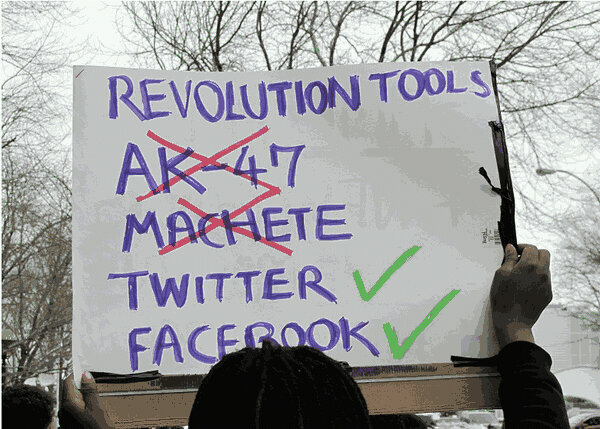 He said he believes a cousin of his was killed on the first day of what’s coming to be known as the Feb. 17th Revolution. Another few relatives of his are also missing. Libyan officials continued to announce resignations. Following Kadhafi's speech, Interior Minister Abdul-Fatah Younis resigned and voiced support to the uprising, which he described as the "February 17th revolution". According to Aljazeera, a video statement by Younis urged the army to join the people and their "legitimate demands". Who exactly is Muammar Gaddafi after his “faults” have been revealed in front of the “Facebook” public in the February 17th revolution? For Libyan anti-government activists, Feb. 17 is a symbolic date. Security forces killed at least a dozen protesters during a peaceful demonstration in Tripoli on Feb. 17, 2006. The following year, security forces detained 14 anti-government activists after they published an online appeal for a peaceful protest on Feb. 17. The men were initially sentenced to six to 25 years in prison, but were eventually released after the Gaddafi Foundation, headed by the son of longtime Libyan leader Moammar Kadafi, intervened. One of the men, Jamal al-Haji, was arrested again earlier this month after he called for another demonstration Feb. 17. Within synchromystic thought (e.g. etemenanki), the number 17 has taken on some importance. Within the Tunisian revolution, the dates of Dec. 17, 2010 (the beginning) and Jan. 17, 2011 (the spread), were of milestone symbolism. 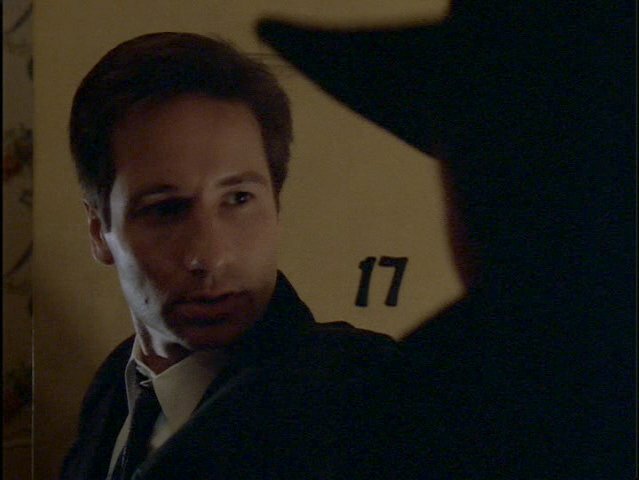 Christopher Knowles has written extensively of the significance of the number 17 on his blog, The Secret Sun, in "At the Edge of 17." In Egyptian mythology, Osiris was killed on the 17th day of Athyr, the third month of the ancient calendar. The first officially acknowledged Masonic body, the Grand Lodge of England, was established on the Feast Day of John the Baptist in 1717. 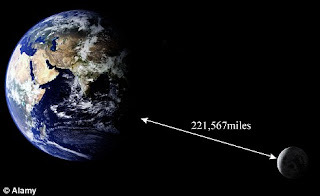 The last manned mission to the Moon was the Apollo 17 mission. The next is the Orion 17. 3/17 is also the date of a Masonically-created holiday, St. Patrick’s Day. The story has it that the holiday was established by high level Freemason, George Washington, allegedly to reward Irish soldiers in the Continental Army.... Considering that the day has become America’s defacto Bacchanal (which takes us back to Osiris) it’s worth noting some of the parallels of this day with Solar mythology. The 17th card of the Tarot is the Star Trump, which features the water-bearer, associated with the constellation of Aquarius. Osiris was believed to be the source of barley, which was used for brewing beer in Egypt. Look to March 17th this year to be a date linked to much turmoil. Perhaps a major incident of great impact will occur. The above was written before I was aware of the "supermoon" event tied to March 19th. For more details and thoughts, see here. Ion Hobana (January 25, 1931 - February 22, 2011), well-known ufologist and Romania's best-known science fiction writer, whose writings were internationally translated, has died. He was 80. 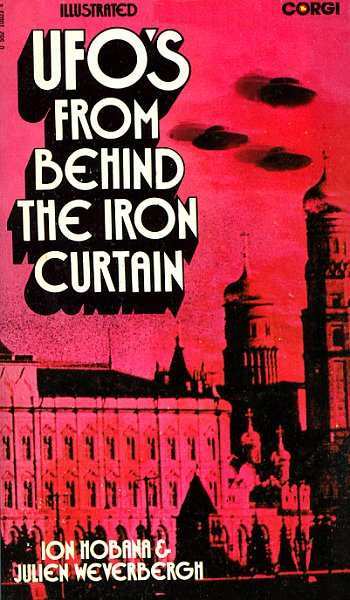 One of his more famous books on ufology is UFO's From Behind The Iron Curtain. 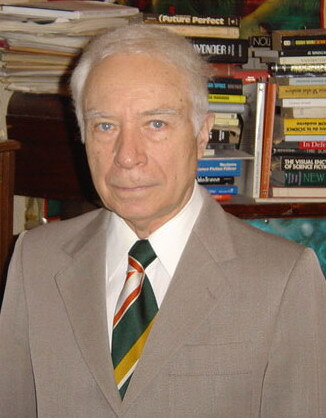 He was the President of the Romanian Organization for UFO Studies. Sorin Hobana said his father died late Tuesday, February 22, 2011, in a Bucharest hospital, according to the Associated Press. Hobana's stories were published in international anthologies, including The Penguin World Omnibus of Science Fiction and Twenty Houses of the Zodiac. November 2010 saw his last book, a history of French science fiction before 1900, published. 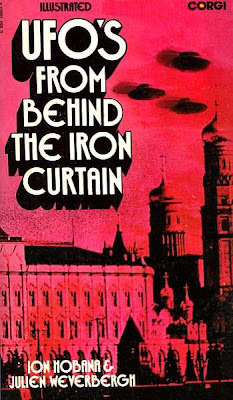 Two volumes on UFOs, co-authored by Julian Weverbergh were published in the Netherlands. The books were translated into English, French and Spanish. Enigme pe cerul istoriei (Abeona, 1993). Ion Hobana. Photo credit: Atlantykron. 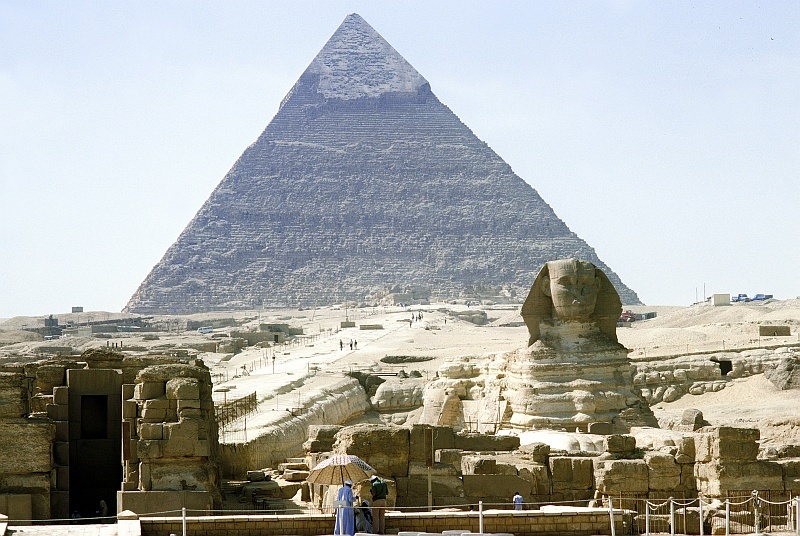 In Egypt, the hunt for "red mercury" continues. Yes, this is the fabled red mercury said to be used to make nuclear bombs, but specifically the red mercury of ancient Egypt seems to have other characteristics and uses, as well. The story about red mercury comes as background to the report that at least 17 artifacts from the Egyptian Museum of Cairo are missing following an earlier reported break-in, the country's minister of antiquities Zaki Hawass said Sunday, February 13, 2011. The missing objects include a gilded wood statue of King Tutankhamun being carried by a goddess; parts of a a gilded wood statue of Tutankhamun harpooning; a limestone statue of Akhenaten; a statue of Nefertiti making offerings; a sandstone head of an Amarna princess; a stone statuette of a scribe from Amarna; 11 wooden shabti statuettes of Yuya; and a heart scarab of Yuya. 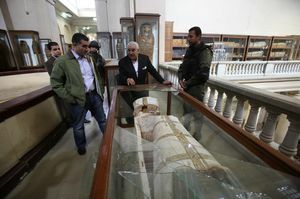 The discovery that the ancient treasures are missing came after museum staff took an inventory, Hawass said in a statement. 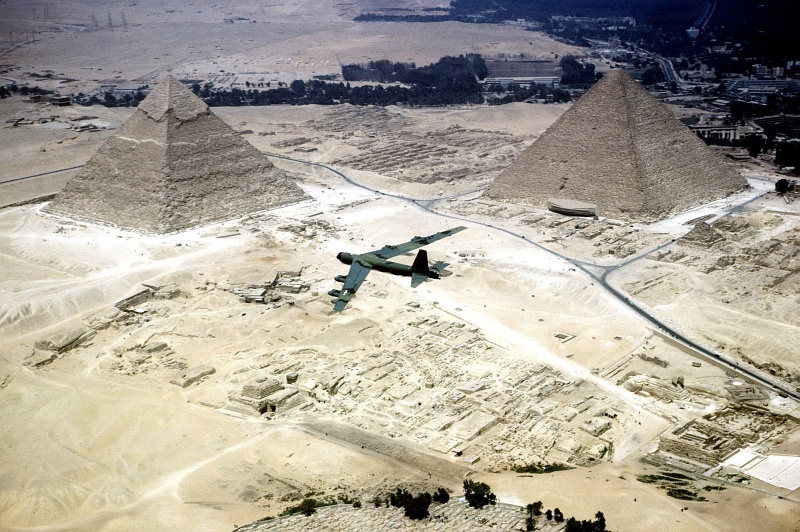 Hawass said January 31 the intruders had vandalized statues and display cases and stolen jewelry from the museum gift shop. Among the 70 artifacts vandalized during anti-government protests, the most significant are a statue of King Ahkenaten wearing the blue crown and holding an offering table, King Tutankhamun’s gilded walking stick and a wooden statue of King Tut standing on the back of a panther. The damage was caused by about six people who broke into the museum through its windowed ceiling using ropes. “One of those people fell down on a showcase while going down using the rope. He got injured and could not escape, and was arrested inside the museum. The army also arrested about 10 more people who tried relentlessly to scale the western museum surrounding wall,” Zahi Hawass, Minister of Antiquities, said. 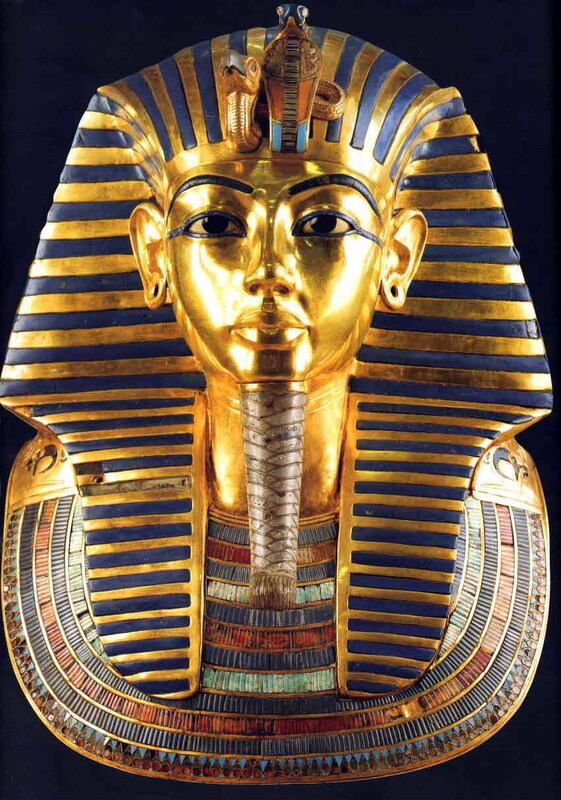 He added that the looters were desperately looking for a mummy in order to find “red mercury,” which it is fabled to be a magical substance used by the ancient Egyptians in mummification. 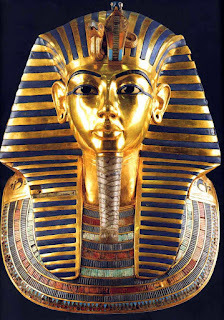 Hawass said the looters were looking for gold and what he called this fictitious substance named "red mercury" that, according to local lore, can be found in the throats of ancient mummies. Some people think it has magical powers and can be used to summon spirits. For this reason they smashed a New Kingdom empty coffin. 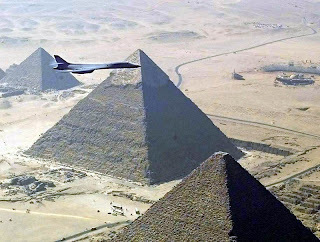 A number of suspects were apprehended shortly after the break-in, some of them with antiquities in their possession, Hawass said. 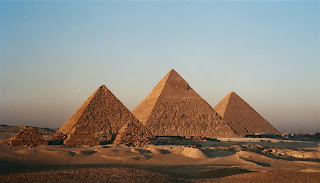 In June 2009, the Kuwait Times ran an article, which informed readers that the Kuwait Ministry of Interior had arrested a number of gangland hoodlums who smuggled in small pieces of red mercury stolen from ancient Egyptian mummies. These criminals were apparently intent on selling this allegedly miraculous substance to local would-be bank robbers for a KD 50,000 per portion to assist in their plots by summoning genies (jinns) - very specialist genies - apparently capable of stealing any amount of money to order from any bank without having to go through the illegal business of tying up security staff, blowing safe doors off, and being caught. Police reportedly arrested the four men — a Kuwaiti, a Syrian and two Egyptians — for attempting to sell two grams of red mercury, worth $42 million, reported the Al-Qabas Daily. During interrogation the Syrian is said to have admitted to the charge and said the substance was stolen from an Egyptian mummy by his partner in Syria. 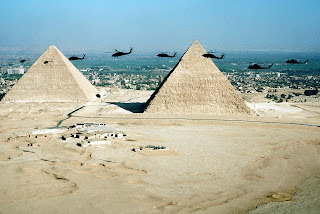 After the January 28, 2011 Egyptian museum break-in, the army and private citizens fanned out to protect Egypt's treasures as the unrest spread. 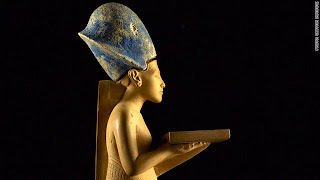 "The Egyptian people are absolutely wonderful," said Jan Summers Duffy, an Egyptologist at the College of Idaho and curator at the Orma J. Smith Museum of Natural History. She said when the break-in was announced that she believed they can be counted on to defend museums and archaeological sites. 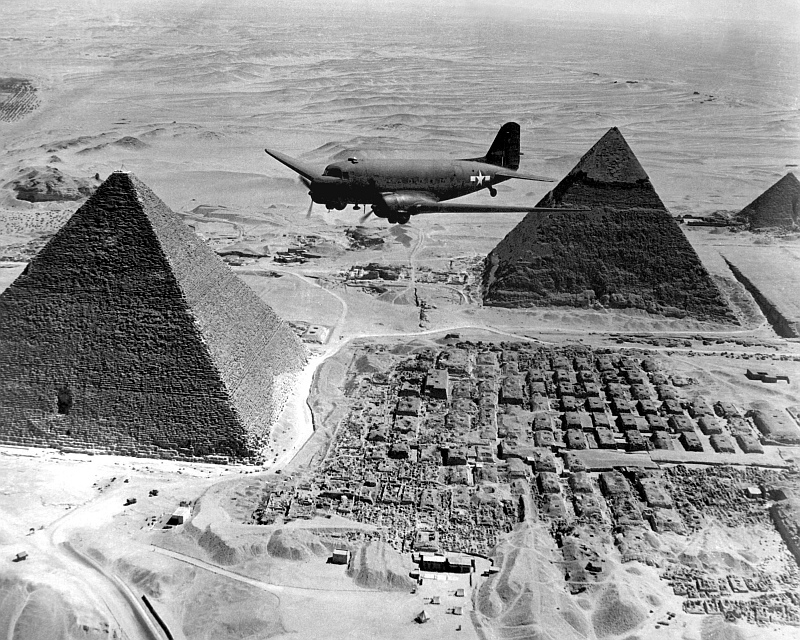 For every looter, there are a thousand Egyptians who will defend its ancient treasures, observers commented. 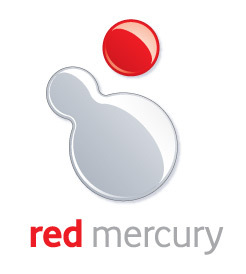 So, the red mercury, a substance purportedly used in the creation of nuclear bombs as well as a variety of unrelated weapons systems, and reported to keep away evil spirits and boost the sexual potency of elderly men is safely, indirectly, being guarded by the military of Egypt and its people, as of last report. Among the objects missing are a gilded wood statue of King Tutankhamun being carried by a goddess. 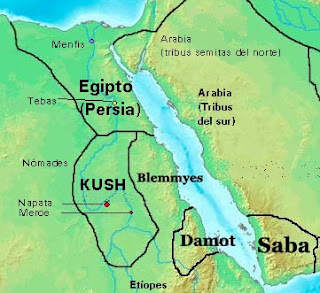 The Kingdom of Kush was established in about 1070 BC. 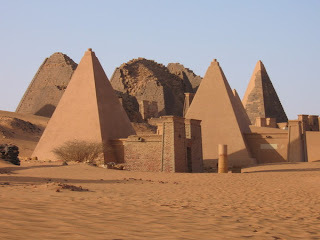 The first cultures arose in Sudan before the time of a unified Egypt. 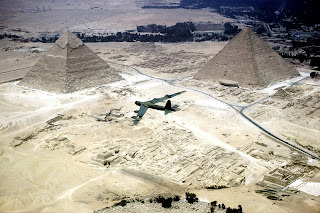 Now, days before a new Egypt emerged on February 11, 2011, a new southern nation in the ancient land of Kush/Cush has appeared on the horizon on February 7, 2011. These are incredible times. The new tomorrows are not over. Other countries, e.g. Libya, Algeria, Yemen, plus more Arab lands and even Italy and Serbia, are feeling the cries from the people calling for freedom. We have been this way before, of course. While others have noted detailed examinations of the timing, let us observe other specifics beyond the significance of Tahrir Square. The important role of self-immolations in sparking the wave of protests and changes we are seeing in governments cannot be underplayed. 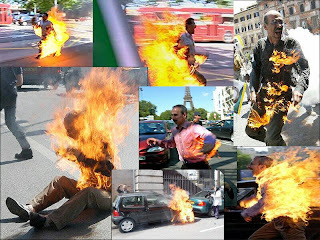 It began in Tunisia in December, and quickly spread throughout the Arab world, with immolations in several countries of the region. 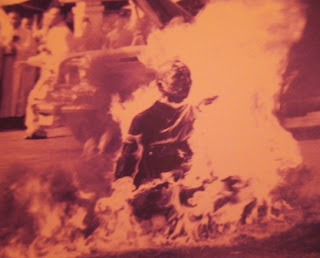 The self-immolations of Buddhist monks in South Vietnam, beginning in 1963, eventually pushed that government to change leadership, and foreshadowed the political overturns in Southeast Asia. Likewise, the fiery suicide of Jan Palach, a 20-year-old Czech who burned himself to death in Prague in 1969, was the spiritual precursor to what would grow into the blazing fire of change that would transform Eastern Europe. These are often called "grassroots movements," although today's massive waves of political realignments are rightfully being termed the "Facebook Revolution." The most comparable historical events to the current protests and changes seen throughout the Arab World are the Revolutions of 1848, which impacted Europe for decades. Barricade on the rue Soufflot, an 1848 painting by Horace Vernet. The Panthéon is shown in the background. 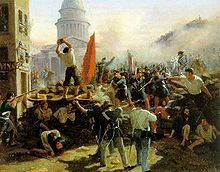 The European Revolutions of 1848, known in some countries as the Spring of Nations, Springtime of the Peoples or the Year of Revolution, were a series of political upheavals throughout Europe. Described by some historians as a revolutionary wave, the period of unrest began in France and then, further propelled by the French Revolution of 1848, soon spread to the rest of Europe. It will be recalled that in the midst of all of the calls for change from the poor classes (reflective of the situation in the Arab World today), Karl Marx and Friedrich Engels had written at the request of the Communist League in London (an organization consisting principally of German workers) The Communist Manifesto, published in German in London on February 21, 1848. The people of each of the following locations had massive protests and revolutionary incidents: Italian states, France, German states, Denmark, Schleswig, Habsburg Empire, Hungary, Slovakia, Switzerland, Greater Poland, Wallachia, Belgium, and even Brazil. Although most of the revolutions were quickly put down, there was a significant amount of violence in many areas, with tens of thousands of people tortured and/or killed. While the immediate political effects of the revolutions were largely reversed, the long-term reverberations of the events were far-reaching. 1848 was a watershed year for Europe, and many of the changes of the late nineteenth and early twentieth centuries have origins in this revolutionary period. 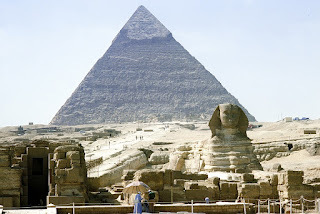 While the newest governmental change in the world today is the new Egypt, the newest full nation also was announced a few days ago, on February 7, 2011. Due to the vote for independence, the citizens of southern Sudan voted in overwhelming numbers to break away from the northern portion of their country and form a new entity. While it may not formally have a new name yet, other than press reports calling it South Sudan, Sudan's President Omer Hassan Al-Bashir accepted the final results of the referendum where southerners almost unanimously voted (by nearly 99%) for the secession of their region. South Sudan will be declared an independent state on July 9, 2011. 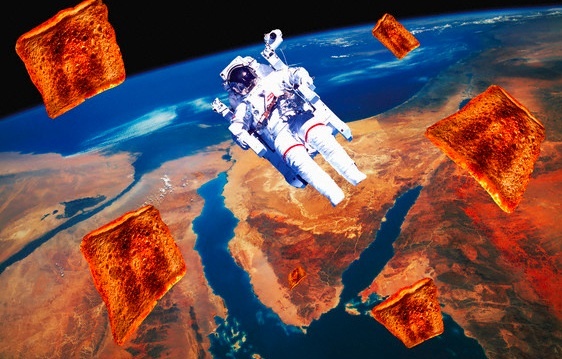 This new land is very reflective of the ancient country known as the Kingdom of Kush. We should not take the news lightly that old Kush/Cush has returned. 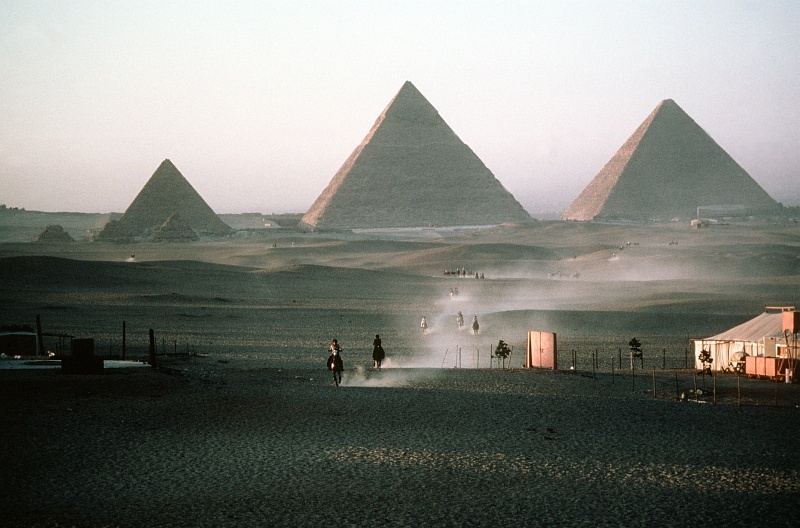 The Kingdom of Kush, like Egypt, is ancient and dominated by smaller pyramids and familiar artifacts. The Kingdom of Kush or Cush was an ancient African state centered on the confluences of the Blue Nile, White Nile and River Atbara in what is now the Republic of Sudan. It was one of the earliest civilizations to develop in the Nile River Valley. 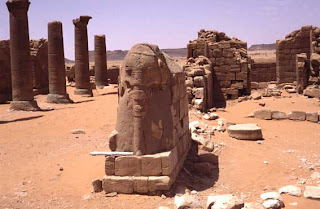 Having also been referred to as Nubia, and as "Ethiopia" in ancient Greek and Greco-Roman records, the Kushites left their mark on various aspects of the ancient world and their legacy is still readily discernible from the various archaeological field sites scattered throughout modern Sudan. The name given this ancient civilization issues from the Bible's Old Testament, where Cush (Hebrew: כוש) was one of the sons of Ham (Genesis 10:6) who settled in northeast Africa. 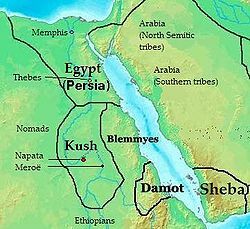 As noted in the Bible and at different times in the ancient world, a large region covering northern Sudan, modern day southern Egypt, and parts of Ethiopia, Eritrea, and Somalia was known as "Cush." The Hebrew Bible refers to "Cush" on a number of occasions, though various English translations translate this as "Nubian", "Ethiopia", "Sudan", and "Cushite" (Unseth 1999). Moses' wife, Tzipporah, is described as a Kushite in the book of Numbers 12:1. Some contend that this Cush was in southern Arabia. All of this is complicated by the fact that the Septuagint translated "Cush" as "Aethiopia," leading to the misleading conclusion that "Cush" should be equated with the borders of present day "Ethiopia." Sudanese Christians in southern Sudan believe the independence of their nation was foretold in the Bible more than 2,000 years ago. Isaiah 18 is one of several passages that refer to the land of Cush, which describes the people as tall and smooth-skinned and the land as divided by rivers. "It used to be read so many times on Sunday," said Ngor Kur Mayol, who drove to Nashville from Atlanta earlier this month to vote in the independence referendum. "It mentions a lot the way we were suffering in for so many years and how that same suffering, we're going to end it today, to vote for independence," (according to the Associated Press writer Travis Oller). The interpretation is not so far-fetched, said Ellen Davis, a professor at Duke Divinity School who has been working since 2004 with the Episcopal Church of Sudan to strengthen theological education there. "There's no doubt that Isaiah 18 really is speaking about the people of the upper Nile," she said. "It really is speaking about the Sudanese people." Davis said the belief in the prophecy is nearly universal among the Christians she has met in Sudan. "In general, Sudanese Christians believe to a much greater extent than mainline North American Christians that the Bible speaks to current events, specifically political events," Davis said. Jock Paleak, pastor at the Sudanese Cumberland Presbyterian Church in the Nashville suburb of Gallatin, explained how Isaiah 18 has been interpreted to refer to independence. "The Bible says when they will raise their flag on the mountain, the whole world will see." Isaiah 18 concludes with a passage Paleak said predicts the end of rule by the Muslim north. He paraphrases and explains it: "'They will bring their gifts to the mountain of Zion,' which means we will be free to praise God in our own way in our own land." without benefit of financial gain. the entire Twilight Language blog. Sections of this entry may reflect summaries of data from Wikipedia. 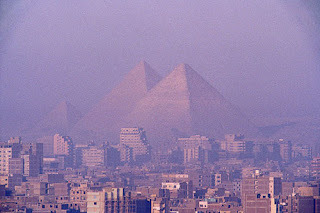 Lest we forget, this is what can be seen from Tahrir Square, through the haze, and from elsewhere in Cairo. The new Egypt is a reflection of the ancient one. 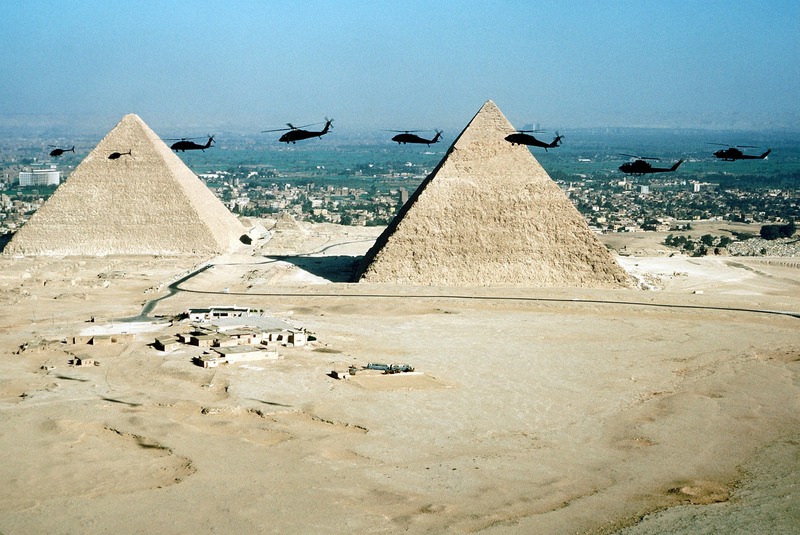 Updated 2.11.2011: There has been a major change in the government of Egypt. The new Egypt has arrived. 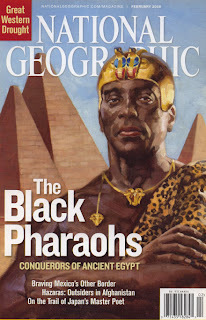 The old Egypt will be recalled, especially as the region changes and even the Kingdom of Kush is being reestablished in Southern Sudan. A month after the Tucson assassination attempt on her life, Congresswoman Gabrielle (nicknamed "Gabby" - which also can mean "talks a great deal") Giffords regained part of her ability to speak on February 9, 2011. 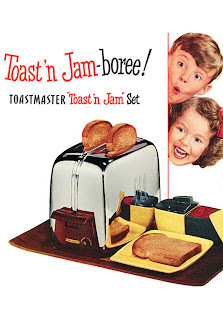 Giffords has asked for toast, her spokesman C.J. Karamargin told the media, though he would not reveal what else the congresswoman has said. 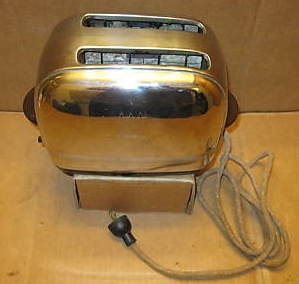 Toast is bread that has been browned by exposure to radiant heat. This browning reaction is known as the Maillard reaction. 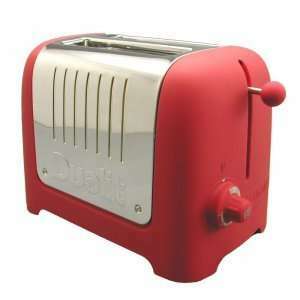 Toasting warms the bread and makes it firmer, so it holds toppings more securely. The Maillard reaction is a chemical reaction between an amino acid and a reducing sugar, usually requiring heat. It is vitally important in the preparation or presentation of many types of food, and, like caramelization, is a form of non-enzymatic browning. 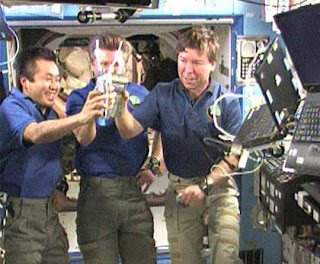 The reaction is named after the chemist Louis-Camille Maillard who first described it in the 1910s, while attempting to reproduce biological protein synthesis, although it has been used in practical cooking since prehistoric times. 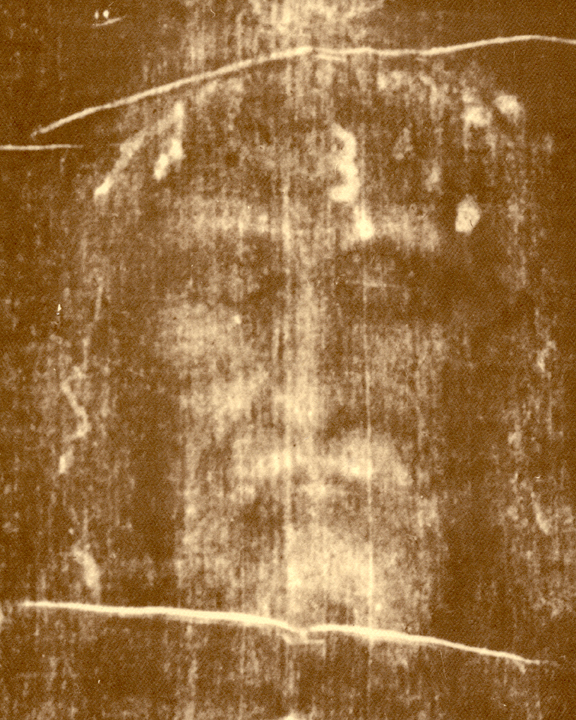 Some speculation notes that the Shroud of Turin could be the result of the Maillard reaction. was a French physician and chemist. Louis Maillard was a direct descendent of Joan of Arc. His families have common ancestors with the Durand d'Aunoux family, (Parliament of Metz, senior ranks in the army and the Clergy) and with the De Jobal family at the head of Pont-Mousson's University since 1650, and as well at the Parliament and in the Clergy. The family Legoux de Neuvry are also at the Parliaments of Metz and Nancy. The peerage-books of the National Library provide the history of the families: Legoux de Neuvry, Durand d'Aunoux, De Jobal. They all act for the Constitution. 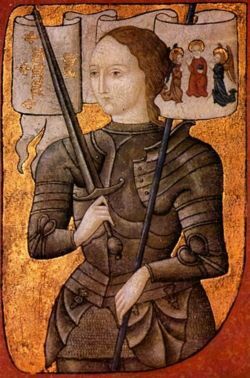 According to these peerage-books, these families are related to Jeanne d'Arc (Joan of Arc), which makes Louis Camille Maillard a distant relative of this symbolically significant individual. 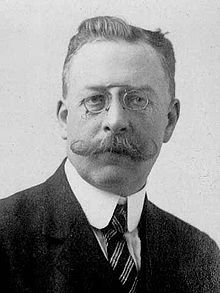 In Paris, Maillard's work on physiology, in particular the metabolism of urea and kidney illnesses, led him to introduce new theories about "urogenic imperfection" and the concept of the "coefficient of Maillard" or "index of ureogenic imperfection." His ideas proved very useful in the diagnosis of kidney disorders. In 1912, he undertook studies of the reaction between amino acids and sugars. This work is considered one of his major contributions, and the Maillard reaction was named after him. For this variety of work he received several awards including the French Academy of Medicine award in 1914. Maillard enrolled in the French army during the First World War, but his health was adversely affected. After the war, Maillard abruptly left Paris in 1919 to occupy a position with the Department of Pharmacy at the Faculty of Medicine Sciences in Algiers (Algeria). During this time, he ceased practically all research. He died on May 12, 1936, while serving as a juror in Paris, at the age of 58. The Maillard Reaction is intriguingly involved in the naming of an entire society associated with it known as IMARS. Established in 2005, the INTERNATIONAL MAILLARD REACTION SOCIETY (IMARS) is a growing non-profit professional organization classified as 501(c)(3), comprised of researchers and clinicians with an interest in the field of carbonyl reactions in foods, biology and medicine. IMARS is affiliated with the French Louis Camille Maillard Association and other organizations. IMARS promote the research on Maillard Reaction and protein glycation. The Society is formed by food scientists dealing with issues related to food browning, nutritionists interested in the phisiological role of advanced glycation products and medical doctors performing basic research in the field of diabetes and its complications. 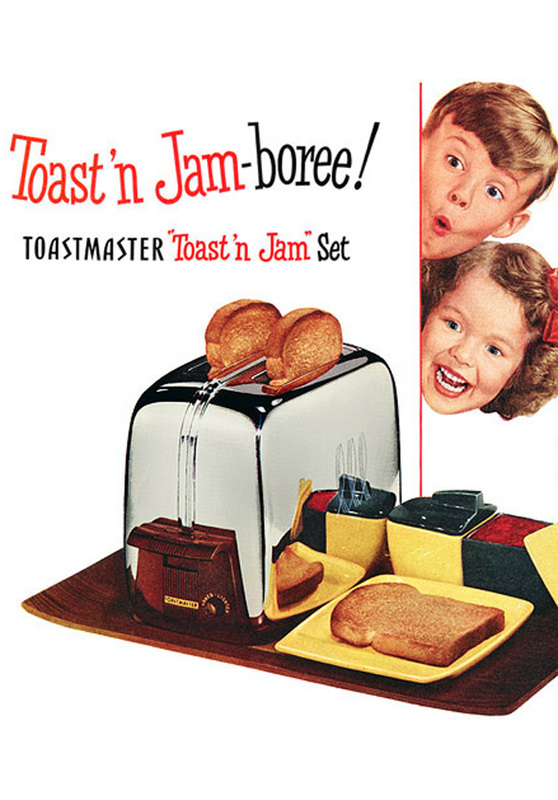 There are, of course, several meanings for "toast." 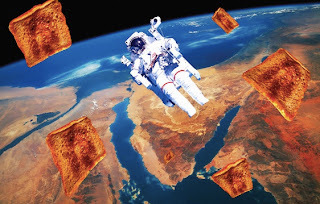 On the evening of February 10, 2011, the general consensus is that Muhammad Hosni Sayyid Mubarak is toast.